Information for Queensland’s Aboriginal and Torres Strait Islander peoples. The Black Dog Institute was founded in 2002 and is a world-leader in the diagnosis, treatment and prevention of depression, bipolar disorder and suicide. 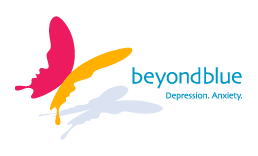 beyondblue is the national initiative to raise awareness of anxiety and depression, providing resources for recovery, management and resilience. Cancer Councils are the leading independent funders of cancer research in Australia. Information on funding, referral and products. Social and health-related payments and services. A national body for people affected by all types of diabetes and those at risk. Your eHealth record allows you and your doctors, hospitals and other healthcare providers to view and share information to provide you with the best possible care. Find out more on how your heart works, heart conditions and risk factors. 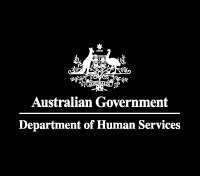 News, stories and events regarding Australia’s health system. Lung Foundation Australia supports all aspects of lung health from asthma to cancer to COPD. Lifeline provides 24/7 telephone support. myDr provides comprehensive Australian health and medical information, images and tools covering symptoms, diseases, medicines and treatments. A fast, simple way to access government online services. All in one place. NEHTA’s role is to facilitate the transition to a connected eHealth system where every Australian is at the centre of their healthcare. Provides health professionals and the public with advice on first aid and prevention. Includes details of dangerous plants, animals, insects and more. Helpful advice for stopping smoking. Official travel advice and updates for Australians covering all destinations. Consular Emergency Centre details and more.